Do you dream of the iconic white smile that exemplifies youth, beauty and health? 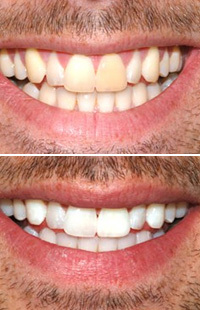 Experts at Now Dentistry understand that some teeth need a little tweaking to achieve a brighter look! For that matter, our teeth whitening clinic in Baltimore MD offers an array of whitening solutions to help patients attain a perfect set of pearly whites! The treatment can be completed in a single visit. The difference in the smile is drastic. It is less likely to trigger tooth sensitivity. It affects all your teeth and not just the front. Prior to beginning the procedure, our expert team offering tooth bleaching will ask you to come in for a consultation to make sure you are fit for teeth whitening. In the interim, we will also explain the possible side effects and risks of the treatment. Once it’s confirmed that you are suitable for the treatment, the process begins. A hygienist will clean your teeth thoroughly, removing any tartar or surface stains. 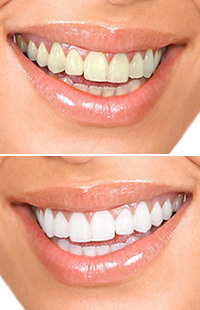 This process is usually known as scale and polish and is done to enhance the effect of teeth whitening. A dentist will then place a small mouth guard inside your mouth to restrict the whitening agent on your teeth alone. 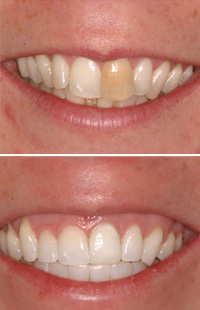 Once everything is in place, a gel will be applied to the teeth to start the whitening process. The in-office procedure normally takes about an hour to complete. At Now Dentistry, we use technologically advanced tooth whitening solutions for patients who want to have their smile dramatically improved in the shortest possible time. If you’re interested in knowing more about teeth whitening in Baltimore MD, feel free to contact our experienced team at 410-999-1111.